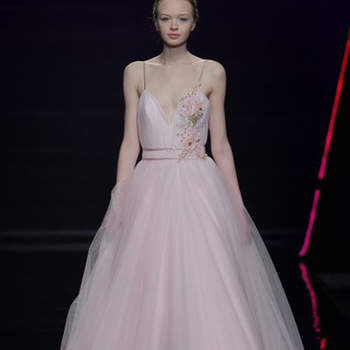 Colorful Wedding Dresses for 2019: Make a Statement! Not a traditional bride? If you're looking for a wedding dress that make a little bit of a splash, then why not consider a colourful number? Check out the best that 2019 has to offer for colourful dresses in our gallery now! 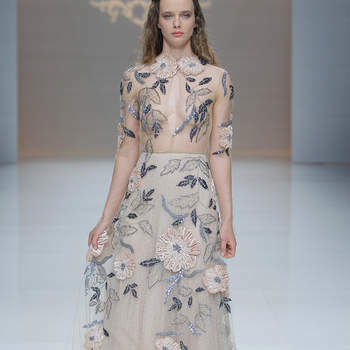 So far with the 2019 collections that we have seen, there has been a trend towards the return of the traditional wedding dress – classic shapes, classy details, and, of course, lots of white. This was not always the case – before Queen Victoria wore a white gown for her own wedding, black was typically worn, but ever since, white (and variations of it such as ivory and alabaster) has indeed prevailed in the bridal fashion industry. 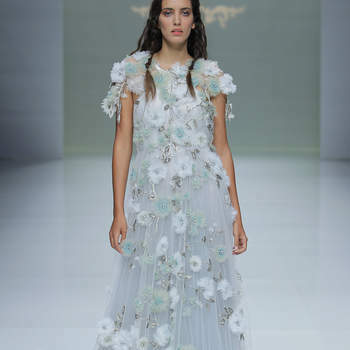 However, in this gallery we are going to show you that colourful wedding dresses are set to storm the stage next season, with top designers including Vera Wang going all in with beautiful pastel tones for the boldest of brides. 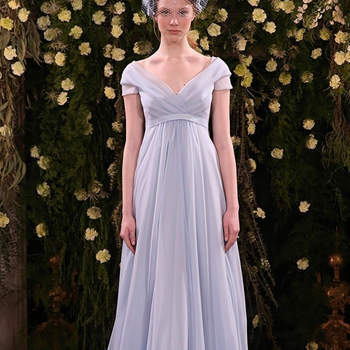 Rose, champagne, blue-grey, sky-blue and many other pastel colours are the most popular colours that we’re seeing for 2019, and amongst the many dresses in our gallery, choosing a colourful dress will in no way restrict your choice of style – we have princess cut gowns, dresses with embellishments, bardot bodices, short skirts… More and more designers are looking to colour to make their collections stand out from the crowd, so why not do the same on your wedding day and choose something a little different for your 2019 wedding! Don’t miss out on having a colour wedding dress, and discover the dress of your wildest dreams today! 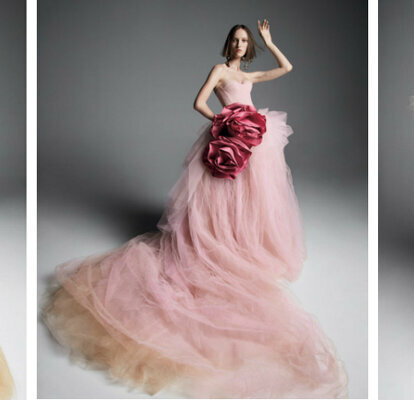 For the unconventional brides out there – we promise you’ll love them! Credits: De la Cierva y Nicolás.